Submitted by Seth Pearce on Thu, 07/24/2008 - 12:50pm. Rep. Patrick Murphy (D-PA) with the takedown on Don't Ask, Don't Tell. As Congress's lone Iraq veteran, Murphy is disgusted by the bigoted and demeaning idea that openly gay soldiers would detract from unit cohesion. Do these people really think that our troops are not professional enough to work together? Nearly 800 specialists with critical skills have been fired from the military under DADT, including several linguists who speak Arabic. U.S. taxpayers have paid $250 million to investigate and root out patriotic servicemen and women under DADT and as much as $1.2 billion in lost recruiting and training costs. More than two-thirds of civilians support allowing gays to serve openly in the military. And despite the fear-mongering about unit morale, nearly 3 in 4 troops say they are personally comfortable serving side-by-side with gays and lesbians. Submitted by Seth Pearce on Wed, 07/23/2008 - 10:51am. Submitted by Brooke Olaussen on Sat, 07/19/2008 - 1:21pm. Submitted by Seth Pearce on Thu, 07/17/2008 - 5:33pm. The opening film drew applause -- and here's why I'm writing about it here. "Battleground Minnesota" features an 18-year-old Minnesotan who convinces every major state office-holder -- Dem and Republican -- to talk with him about why young people should care about voting. He then remixes the interviews into a hip-hop music video -- where original rap is interspersed with Mark Dayton wearing "Dem" bling," Norm Coleman unbuttons his shirt to hang out, Tim Pawlenty is turned into a supporting role rapper, and Walter Mondale gets his turn on headphones. It's hilarious, and inspirational -- it plays with the cultural and generational gaps between past generations and the current one, but also the power of music, technology and mischief to bridge that divide. Submitted by Seth Pearce on Thu, 07/17/2008 - 12:42pm. Daily Round-Up: Get Along, Little Lemmings! Submitted by Emma Needleman on Tue, 07/15/2008 - 11:43am. 1. Salon and Slate both weigh in on why they don't think the New Yorker cover is a big deal ; meanwhile, the New York Times reports on why no one wants to joke about Obama. 2. Huffington Post blogger (and Brandeis University sophomore) Nathan Robinson agreed to watch FOX News for 24 hours straight. 3.Free Ride author Paul Waldman linked to this complete list of McCain flip-flops in his article about McCain and the media. 4. Alternet ranked the top ten worst things McCain has done...this week. 5. Elsewhere, the feud between comedian and VH1 "fundit" Michael Ian Black and Tucker Max (the I Hope They Serve Beer in Hell guy) stretches on. Submitted by Seth Pearce on Mon, 07/14/2008 - 6:17pm. Jonathan Levine's new film The Wackness is great. It really is. It's depressing. No doubt. But it's a good movie. 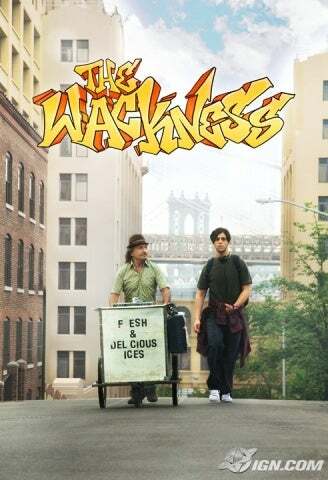 Josh Peck, as recently graduated- prep school- drug dealer- hip hop enthusiast- virgin- depressive- bored Luke Shapiro and Sir Ben Kingsley as lost- frustrated- depressive- addicted- bored- tired Dr. Squires are excellent together. Their relationship gives the movie an uncompromising reality that infiltrates every moment of the New York City Hip-Hopped bildungsroman. All the actors have a great understanding for their characters and the director really gets you into the protagonists head. So much so, that your emotions twist and squeeze along with Luke's as he suffers through heartbreak, insecurity and a drugged out emptiness that pervades each frame. As to the movie's authenticity: A+. Heck, I know kids from my New York City high school of whom this movie could very well be a biography. The film stays true to its location, its music and the complexity of each of its characters and the real life teens whose lives this story replicates. So, what about the drugs? How come, people ask, Luke was never arrested for dealing drugs, even though in the movie he was often doing so in public, out in the open, using a converted Italian Ice cart? Why was there never the slightest fear of repercussions of his actions. Even though 1994 was right when Rudy Giuliani stepped up his anti-drug enforcement? Simple answer: HE'S WHITE. The Drug Policy Alliance Network, an organization dedicated to promoting drug policies "grounded in science, compassion, health and human rights," lists many reasons why the war on drugs as currently executed in the United States is completely unjust. One of the key reasons they list is the outrageous racial disparity in drug arrests and convictions. While African Americans represent "only 13% of drug users," a stat that anyone who watches the Wackness will easily recognize, "they make up 38 percent of those arrested for drug offenses and 59 percent of those convicted of drug offenses." Huh? How could this be? According to DPAN, these higher rates reflect the war's enforcement of laws in inner city areas "where drug use and sales are more likely to take place in open-air drug markets where treatment resources are scarce." Thus, even though Luke deals in open air areas such as Washington Square Park in Greenwich Village, the law enforcement resources aren't directed at such a well-to-do, white, neighborhood. Other examples of this institutionalized racism include the disparity in sentencing among those convicted of using or selling crack cocaine and powder cocaine, two drugs made from the same active ingredient but the first used more often by lower income minorities and the second by more wealthy whites. Guess who gets the stricter sentence? The Drug War also ends giving lower level dealers and runners more time than mid-level dealers because the mid-level dealers can usually give the police more information, and in doing so get around the mandatory minimums faced by almost all of the lower lever dealers. Everyone has a stake in ending the war on drugs. Whether you’re a parent concerned about protecting children from drug-related harm, a social justice advocate worried about racially disproportionate incarceration rates, an environmentalist seeking to protect the Amazon rainforest or a fiscally conservative taxpayer you have a stake in ending the drug war. U.S. federal, state and local governments have spent hundreds of billions of dollars trying to make America “drug-free.” Yet heroin, cocaine, methamphetamine and other illicit drugs are cheaper, purer and easier to get than ever before... The war on drugs has become a war on families, a war on public health and a war on our constitutional rights. Submitted by Seth Pearce on Mon, 07/07/2008 - 7:07pm. Will Smith's new summer blockbuster Hancock is pretty good. Smith is awesome as usual, but that was to be expected. (Remember, this is the guy who made Hitch into a profoundly watchable film.) 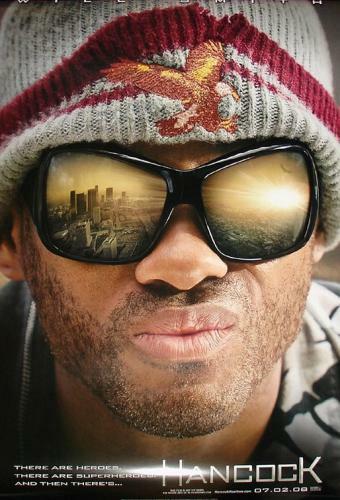 What I want to focus on today, however, is what the progressive movement can learn from this run-of-the-mill homeless, alcoholic, anti-social superhero movie. Jason Bateman's character, Ray, is an idealistic PR man hoping to use branding (the "All-Heart" symbol) to convince big corporations to good for the world. The good he seeks is not your average "Cough up a couple thousand bucks and I'll put my stamp on your product. In his first scene, Ray tries to convicne ht board of a pharmaceutical company to give away their new tuberculosis vaccine for free, to families that couldn't afford it. Unfortunately, the Pharm doesn't bite. At his next meeting, after the rise of his client Hancock as a popular superhero, all the company wants to talk about is...guess what... Hancock! We all know this experience: wanting to talk about the issues when all people get hung up on is the controversy (See: Jeremiah Wright, Swift Boat Veterans, Willie Horton etc.). Now, we can respond to this by saying screw these jerks who don't care about the issues, or we can acknowledge their lack of interest and take from it a natural human condition: we love a good story! It's often difficult and confusing to just talk about our issues in an abstract, theoretical way, even though for some us that are deeply involved it can feel like the most elegant method of discussing it. Instead, we need to highlight the progressive superheroes, the real people that power the progressive movement and the real people that government policies and actions affect. We need to tell their stories in order to reach out to a wider audience and truly engage people. We need to give them Hancock and use Hancock to effectively illustrate our points. Otherwise, our message gets lost in the echo chambers of the elite. It turns out that this lack of story is also Hancock's key flaw. There are many interesting concepts woven into the movie such as power, sacrifice, angelology and mythology, and celibacy as well as several unique motifs such as the PR training of a superhero, i.e. smooth takeoffs and landings, always saying "good job" to fellow do-gooders even though what they have done might be inadequate, going to group therapy sessions etc. But these concepts are not effectively woven into the story and are sometimes put in seemingly at the expense of deeper background information about the characters. Overall, Hancock is worth seeing. It's lots of fun. Will Smith is the bomb. Jason Bateman has a part that fits him perfectly and the plot ain't half bad. Check it out. Submitted by Claire Finch on Thu, 07/03/2008 - 11:48am. I should probably preface this post with an admission: I absolutely loved The Chronicles of Narnia: Prince Caspian. Despite the abysmally low expectations set by the first Narnia attempt, I sat through Caspian in a state of gleeful enthrallment. 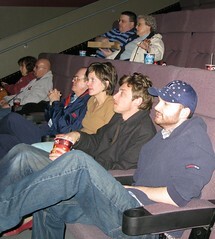 And from an entertainment perspective, it was a surprisingly great movie: the landscape was crafted with Peter-Jackson-level expertise, the Pevensie children have become less insufferably whiny, and the sexual tension between characters Susan Pevensie and Prince Caspian was cringe-inducingly hilarious. For those of you who aren’t familiar with the original story, Prince Caspian weaves the tale of the Pevensie children’s return to Narnia after The Lion, The Witch, and the Wardrobe. 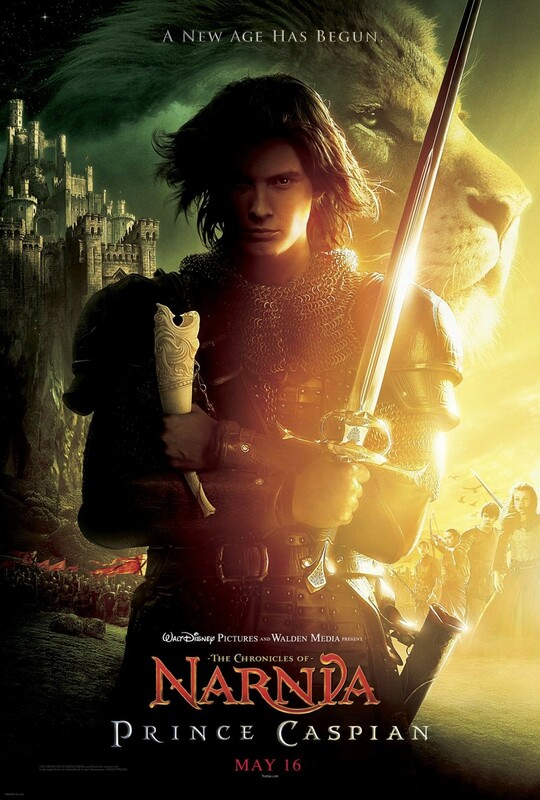 Since their last visit, over a thousand years have passed in Narnia and things have gotten really rough: a neighboring land has taken over everything, and all Narnians have been killed or driven into hiding. Enter attractive yet bizarrely accented Prince Caspian, the exiled heir to the throne—and Narnia’s only hope. Essentially, magical hijinks and epic battles ensue as good battles evil for power over Narnia. Overall, Caspian is a satisfying fantasy adventure--which is not to say that the film is even close to being flawless—there were many moments when it veered into being ridiculously overwrought, unintentionally inspiring several hearty guffaws. Like the first moment that Aslan appears, beams of light triumphantly shooting out of his mane, in a blatant "Thank God! It’s Jesus!" moment. (C.S. Lewis’s original Narnia stories were modeled after Christian parables, with Aslan the lion serving as an obvious Jesus figure). The movie versions of the tales are produced by Walden Media, financed by notoriously conservative Christian billionaire Philip Anschutz. Which had me, a staunch athiest, pseudo-maliciously poised to pounce on any thinly-veiled attempts at conversion. Of which there were surprisingly few. Most of what could be associated with a religious purpose was ambiguous. For example, a scene in which a river swells into the shape of a giant man, who then swallows the enemy army, is simultaneously a reference to the parting of the red seas and a harmless demonstration of cool Narnian magic.